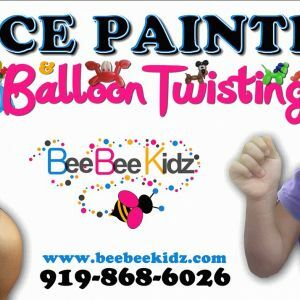 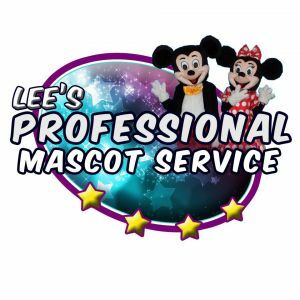 This page lists face painters and temporary tattoo artists available for kids' birthday parties and festivals in the Raleigh, North Carolina area. 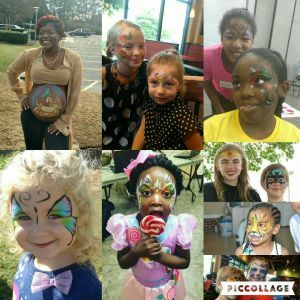 Face Painting by Jandy and Co. 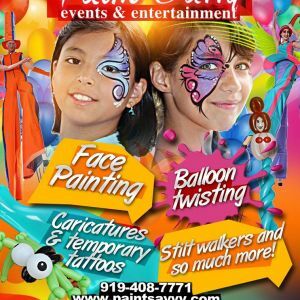 Mobile face painter available for parties & events!